Every issue, landscape designer Darbi Davis digs deep to bring you stories for your outdoor space. This month: why porches are in full swing again. As summer ever…so…slowly…slips into fall, we emerge from our chilled dens and happily dust off our porches – a special place where we can once again embrace the drier, cooler air. The shift is undeniably subtle, but eagerly embraced by all who call the desert home. 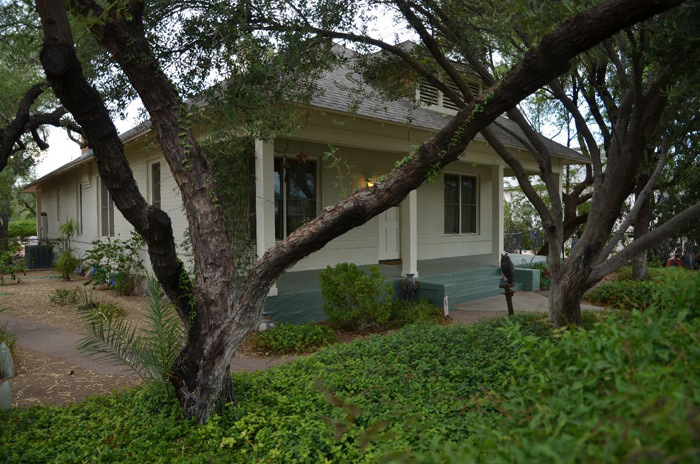 When the fourth Tucson Porchfest hits at the end of this month, it will be a chance for residents to celebrate something that’s back in full swing as a center for community events, learning, coffee and cocktails. Historically, front porches served as cool, covered outdoor spaces where life rolled by at a slower pace. Porches were the eyes and ears of street life happenings. They were silent, transitional spaces that merged the inside with the outside. They were confidants of secrets, witnesses to chaos, shelter from the sun, support for tired feet, a breezy space, a meeting place, a musical bodega. They were places of retreat and rest. A culture of idle ease and nostalgic ambience. A theater of pure Americana. And then the car whirled into town and air conditioners cooled interiors, making the front porch less appealing on hot summer afternoons. Emerging architectural styles around the middle of the last century eliminated the front porch. History shifted to the inside. It wasn’t until shortly after the turn of the millennium that the trend towards a walkable, less auto-dependent life caught on. In 2007, a group out of Ithaca, New York, decided that their community needed more casual, outdoor, family-friendly events, and Porchfest was born. 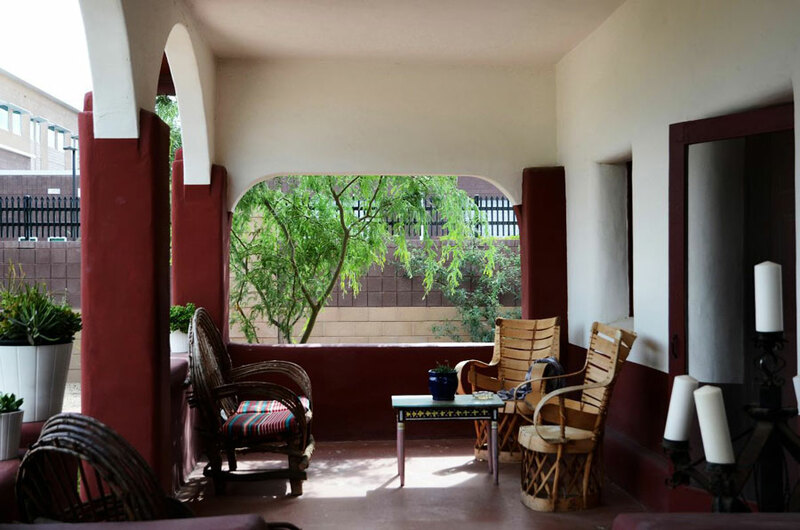 Communities across the country took notice and Porchfest Festivals popped up all over – including in Tucson, where it travels to different neighborhoods a couple times a year. 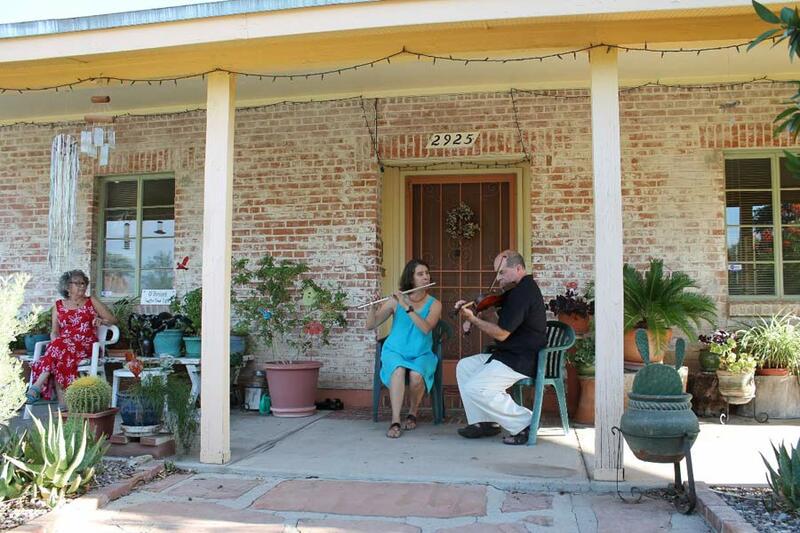 A typical Tucson Porchfest includes musicians playing on porches, Food Trucks, and kids’ activities. The streets come to life as everyone strolls around to stop and listen at intermittent porches or grab a bite. All are invited and it’s free to attend. 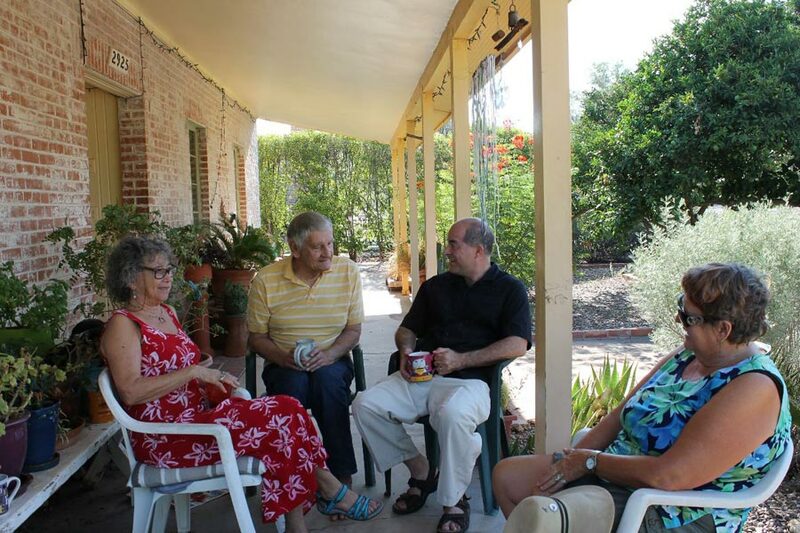 Barbara and Alan O’Brien live in the Broadmoor neighborhood of Tucson, host to this month’s Porchfest on September 28th. 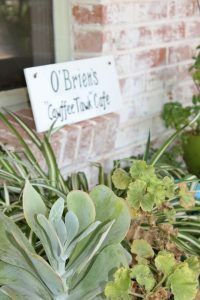 Their back patio hosted their morning coffee rituals until a few years ago, when they moved to the front porch. Since then, their lives have been enriched by daily stop-ins from friends and neighbors, and their porch earned the name, ‘Cawffee Tawk” Cafe, after a Saturday Night Live skit. A friend made a sign for them, which is proudly displayed on the front windowsill. Full-time Menlo Park resident Deb Dale, partner in Smith & Dale Philanthropic Counsel, doesn’t miss a morning on her porch – even in the sweltering summer. “Sipping coffee, doing morning crossword puzzles, and playing with Stan, the beloved cat” are just a few of her mentioned porch rituals. “We also used [the front porch] as the cupcake decorating locale to wrangle tots during our 4th of July party,” says Deb. Speaking of tots, porch-for-play is a brilliant modern day use of the space. Kids thrive in fresh air. They don’t mind extreme temperatures as long as they are outdoors. Seasonal shifts, bugs, lizards, carpenter bees, wind, water, sand, and mud provide endless learning opportunities. If they spill, splat, or dump – no problem. Grab a hose or a broom, or leave it and watch the mess evolve. It’s a cherished and inspiring break from indoor school life, and it’s outside time that will certainly inspire a moment of relaxation, regardless of your age. If you’re a regular backporch sitter, try moving to the front for a different view. And who knows? Maybe you’ll meet a neighbor or two, make new friends, or feel a cooler breeze. * The next Tucson Porchfest (with food trucks!) 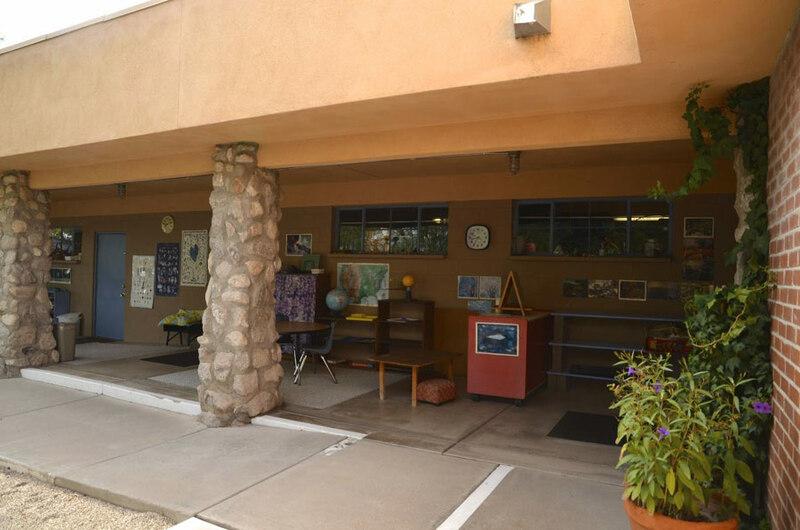 is 4 pm to 7 pm, Sunday September 28th in the Broadmoor-Broadway Village neighborhood in midtown Tucson. This sprawling native annual has light lavender, tubular flowers that mature into long horned-like fruit. 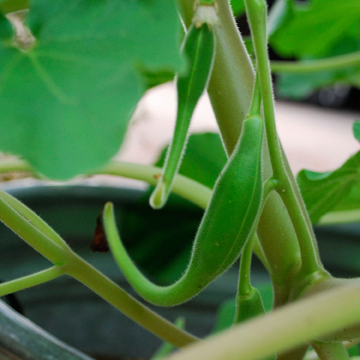 Once dry, the pod splits and forms a woody claw that contains seeds. Historically, the dried pod is used in Native American basket weaving. A fun monsoon loving plant!